Former European No 1 Ronan Rafferty is bidding to join Padraig Harrington in next month's Open Championship at Turnberry. The TV pundit, 45, is one of 13 Irishmen entered for Local Final Qualifying in Scotland next week. 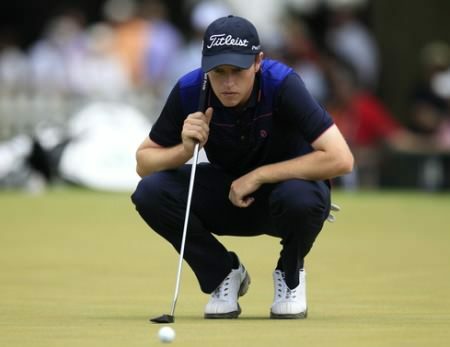 Ronan RaffertyWith time on his hands following the recent collapse of UK-based Setanta Golf, Rafferty will begin his Open quest next Monday when he joins 288 hopefuls battling for just 12 spots at three venues over two days. Rafferty played in the Open 12 times between 1980 and 1995 and finished ninth behind Seve Ballesteros at St Andrews 25 years ago. 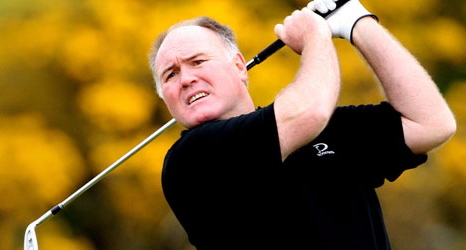 The Warrenpoint man was exempt into Local Final Qualifying as a former Ryder Cup player and is joined at Glasgow Gailes by Castlecomer’s Brendan McDermott, Royal County Down’s Jerry Scullion, former tour star David Higgins, Irish Close winner Pat Murray and amateur James Fox. Challenge Tour stars Colm Moriarty and Jonny Caldwell, the Island’s David Rawluk and amateurs Simon Ward and Andrew Hogan will tee it up at Kilmarnock Barassie with Killarney's Danny Sugrue and Douglas' Peter O’Keeffe going at Western Gailes. Masters champions Jose Maria Olazabal and Fred Couples are also trying their luck. Ireland will have at least six starters in the Open from July 16-19 with Harrington chasing a hat-trick of titles alongside Rory McIlroy, Darren Clarke, Paul McGinley, Damien McGrane and Graeme McDowell. Royal County Down's Jerry Scullion was one of six Irishman to come through Regional Qualifying for the Open at Royal Dublin. Irish trio Peter O’Keeffe, David Higgins and Jonny Caldwell can join Padraig Harrington in the Open at Turnberry after making a fast start in 36-hole Local Final Qualifying in Scotland. Four spots are up for grabs at each of the three qualifying venues with big-hitting Douglas star O’Keeffe tied for third behind Scottish amateur James Byrne at Western Gailes after a one under par 70. David Higgins grabbed a dream place in the Open at Turnberry and immediately set his sights on giving Padraig Harrington a run for his money in the Irish PGA. Sean QuinlivanTwo Ulstemen and a Kerryman will join the hundreds of hopefuls at 11 sectional qualifying sites across the United States on June 4 seeking a place in the US Open at the Olympic Club in San Francisco. 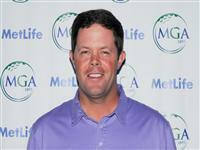 Former East of Ireland winner and Listowel native Sean Quinlivan will tee it up at Canoe Brook Country Club in New Jersey, Ballyena’s Chris Devlin goes at Springfield Country Club in Ohio, and Dungannon’s Fergal Rafferty at Lakeside Country Club in Houston, Texas. Thirteen Irish players are amongst the 288 players chasing just 12 places in The Open Championship at Local Final Qualifying in Scotland today.